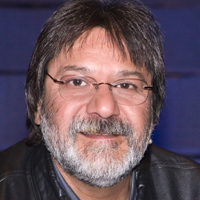 Johnny Saldaña is Professor Emeritus of Theatre from the Herberger Institute for Design and the Arts’ School of Film, Dance, and Theatre at Arizona State University. He has been involved in the field of theatre as a teacher educator, director, playwright, and qualitative researcher. Saldaña’s research methods have been used and cited internationally for studies in K-12 and higher education, the fine arts, business, technology, social sciences, government, social services, communication, human development, sport, health care, and medicine. He is the author of Longitudinal Qualitative Research: Analyzing Change Through Time (AltaMira Press, 2003), recipient of the 2004 Outstanding Book Award from the National Communication Association’s Ethnography Division; Ethnodrama: An Anthology of Reality Theatre (AltaMira Press, 2005), an edited collection of ethnographic-based plays; The Coding Manual for Qualitative Researchers (Sage Publications, 2009; second edition, 2013), a handbook on qualitative data analysis; Fundamentals of Qualitative Research (Oxford University Press, 2011), a commissioned introductory textbook and volume one of the Understanding Qualitative Research series; Ethnotheatre: Research from Page to Stage (Left Coast Press, 2011), a playwriting primer for performance ethnography and recipient of the American Educational Research Association’s Qualitative Research Special Interest Group’s 2012 Outstanding Book Award; and Qualitative Data Analysis: A Methods Sourcebook, third edition (Sage Publications, 2014), a commissioned update and revision of the late Matthew B. Miles and A. Michael Huberman’s second edition (1994) book, Qualitative Data Analysis: An Expanded Sourcebook.